In the last two and a half years the costs of Floating Bridge 6 have spiraled. 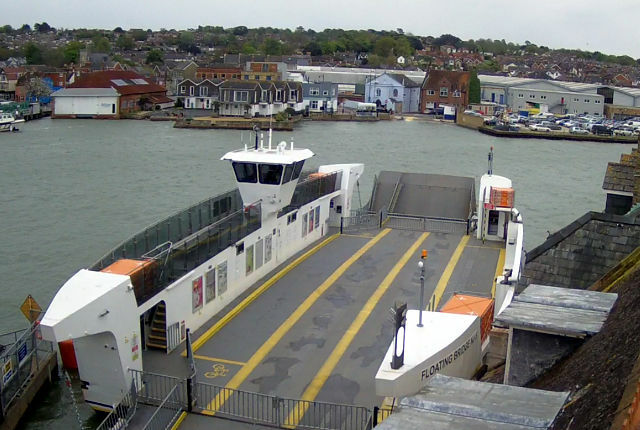 The councillor for East Cowes says the additional cost of the replacement launch could have been used to continue the work of the Local Area Coordinators. “Cllr Ward must resign and step-aside so that a competent fresh member can move in and sort this story fiasco out once and for all. “I and the people of the Medina Valley Estuary and East Cowes have lost all confidence in Cllr Ward and Cllr Dave Stewart is equally to blame for all his empty promises and we still don’t have a fully operational FB as it was designed to implemented. Jump to page 64 to see full details of the costs. 8 Comments on "Floating Bridge costs rise to a staggering £6,400,000"
Though it won’t help matters I’d be interested to know excatly how many days (full days) the floating bridge has actually worked as it should do since it arrived. Surely somebody, somewhere, has to say “enough is enough”? This craft does not perform as well as its predecessor, and that should be clear to everyone involved. Just what to do is another question, but the current fiasco cannot be allowed to continue. This is an absolute scandalous amount of money our so called expert Councillors have thus far wasted. A vast amount of which could have gone towards the ‘Local Area Coordinators and in keeping our Council Tax Lower’. Not to mention the other surprises they have in store for the next budget proposal. Haha Add to that the cost of preparing that 107 page document…. Anyone got any ideas what a lifting bridge would cost ? Like the one in Yarmouth.. Perhaps with just one lifting arm ? PMSL Just heard on Meridian news that they’re flogging it to Lake Windemere… sorry, I meant giving it away. How else are they going to get rid of a pile of junk ? With this lots history of managment of our property they will most likely flog it for a tenner (Winter Gardens & Botanical Gardens) and then agree to fix it for free, and throw in a spare boat, just in case! They have absolutely no concept of fit for use or value for money… ‘may god bless all who sail in her’ certainly doesn’t apply here lol!